Have you ever wondered how does crack look like? Crack cocaine is a freebase form of cocaine sold at accessible prices but also coming with a plethora of severe dangers to health. On the street, those who make crack usually sell it in crystalline ‘rocks’, which are then typically smoked through a pipe to achieve the desired effects. And while its ‘high’ only lasts for about 15 minutes, the effects are extreme. The drug creates a sense of exhilaration, with users generally feel energetic, alert, and euphoric. However, because of a relatively short duration of its effect, it also tends to create intense cravings for more – often making the person hooked after his or her first use. What Does Crack Smell and Taste Like? Crack cocaine mostly comes in a solid form. The rocks, chunks, or chips of the crystalline substance are off-white or pinkish and are often cut or diluted with other stimulants. The color of the drug will greatly depend on the substance it has been cut with. For example, common additives such as caffeine and sugar can make the batch appear purer by whitening it. That’s not the only reason why adulterants are added, though. Drug dealers mix the substance with a wide range of chemicals, sometimes highly toxic, to boost the drug’s potency and earn more money. 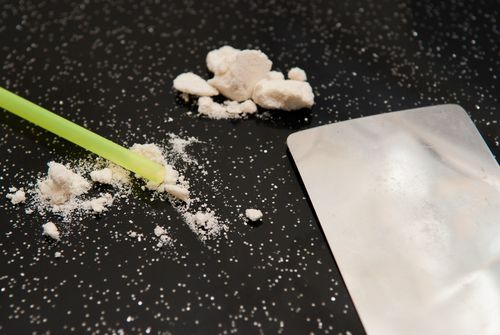 Users can get hold of the ‘rocks’ off the streets fairly easily and at a far lower price than powder cocaine. They then place them in a tube-shaped device, such as a pipe, before burning them and inhaling the smoke. What does crack look like after burned? The pure form of the drug will melt when introduced to flame or water, turning black and producing a strong, intoxicating, odor all around. How to Spot the Paraphernalia? Addicts are known as masters of creativity when it comes to makeshift devices used to smoke the drug. Missing lightbulbs, tinfoil, straws, and of course, pipes, all point towards abuse. Spotting these signs early can help you take action before it’s too late. The longer the problem is left unaddressed, the more difficult it is going to be to achieve full recovery. As opposed to powdered cocaine, crack’s primary method of administration is smoking. A crack pipe, the main tool of the trade is where the rocks are placed and burned. What does burning crack smell like? When burned through a pipe, the substance has a strong toxic smell, similar to burning rubber or plastic. The smell can be highly unpleasant. Unfortunately, because addicts cannot overcome their dependency, they tend to consume the drug inside their homes, where their family lives. In turn, the released fumes can damage other people’s health, and in some cases, children fall victim to the dangerous side effects. Very little can cover the smell of crack, meaning one should be able to identify fairly easily something strange is going one with their loved one. Moreover, the taste of crack is another massive giveaway – the drug has a powerful numbing sensation which remains on the tongue and lips of a user for a while. What makes the drug so risky is the fact there’s no set recipe for making it, meaning the product’s contents are always uncertain. This is what makes crack cocaine overdose so common and unpredictable. Furthermore, because the drug’s effects are so short, and the onset is almost instantaneous, the chances of dependence are significant. A ‘coke crash’ that succeeds the euphoric high includes depression, fatigue, irritability, and intense cravings for the next high. And the person going through the withdrawal symptoms is often aggressive, paranoid, and depressed because of a strong chemical imbalance in the brain. All these signs can help a person to spot the signs of someone on crack, and help them take action quickly. People on crack, perhaps even more than other addicts, tend to deny their addiction and commonly claim it’s only an every-so-often habit of theirs. They may say it helps them stay focused or that it takes the edge off, but in reality, it is clear the drug is rapidly taking over their life. If you fear your loved one may be facing crack cocaine abuse, remember there is professional help at hand. The road to recovery will not be an easy one, but it is well worth the effort. Call our 24/7 hotline at (888)-459-5511 if you’d like to receive more information on treatment options. I really think that you should amend your description of the taste of crack to include a clear disclaimer that if you think you have found crack not to taste it, given that doing so can be dangerous even in small doses. After all, the substance in question could simply be taken to the proper authorities for clear identification without putting anyone at risk. True, in doing so, you will raise some eyebrows, but it’s far better to do that than to put who knows what into your system. The police won’t even use the “taste” method to try to identify drugs specifically because they have no idea what substance they are dealing with or what it might be mixed with.